Perfectly Pamela: Girls Just Wanna Have Fun! And fun was had! 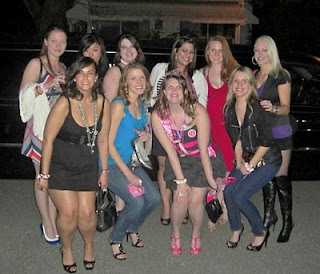 We had a blast at my bachelorette party this past weekend! Myself and 9 other girls all gathered at my MOH's house for the pre-party activities. My bridesmaid, Rita, made the cutest little goody bags that were filled with candy necklaces, shot glass necklaces, light up diamond rings, kazoos and a phone book. The phone book was part of one of our games - the first to get 10 phone numbers in their book wins a prize! Becca took this game quite seriously and she won the game within about 10 minutes of us reaching the first bar! We cruised around DC in a limo and went to two bars in the DC area. We had a great time and I think I found a new bar that I really like, Gin and Tonic. Great music, a cute tiny stage to dance on and okay priced drinks. Me and my bridesmaid Rita - she threw my wonderful bachelorette party! Kisses from Rita and Emily. Posing with my former roomie Erin! 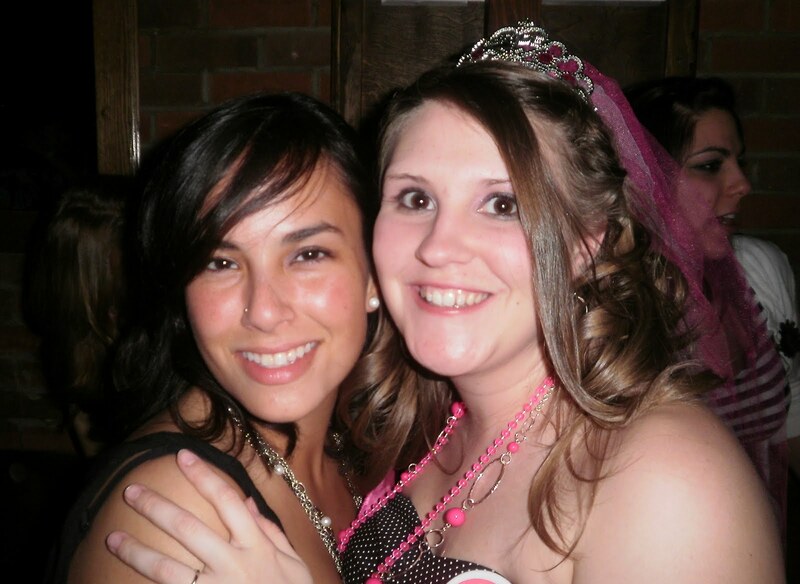 My bff and MOH Becca!